We always imagine our favorite Bollywood Superstars to be slim, smart and beautiful but actually many actors and actresses who look hot, smart and fit were actually bulky and fat before starting their showbiz career. Being in showbiz, actors have to take extra care of their bodies. While some are naturally blessed with an envious body, others attain it by sheer hard work and strict diet and exercise plans! Are you also tired of undesired fat issues? Relax! If they can do it, so can you. Here are 7 Superstars who went from fat to fit. 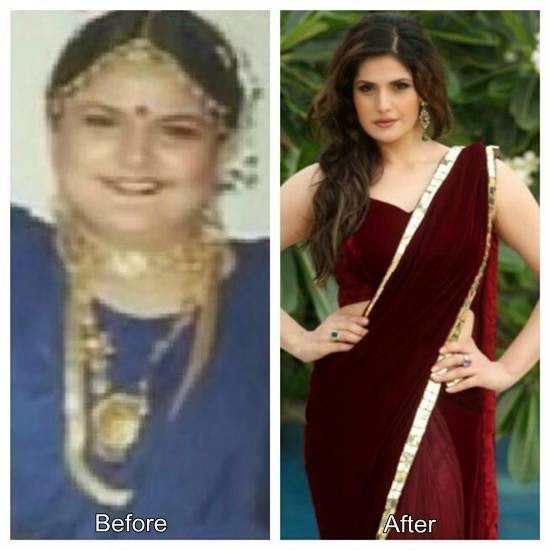 One of the top names is of Zarine Khan for losing weight. Zarine was over 100 kilos before her Bollywood debut, Veer. She worked hard to loss from 100 kg to 55 kg. Sonam Kapoor, the daughter of Anil Kapoor is on number 2. She was a 90 kg bulky lady before she signed her first film Saawariya. She reduced more than 30 kilos to get that beautiful subtle look in the movie. Well, on number 3, we have the beautiful daughter of Shaturghan Sinha. Sonakshi reduced 30 kilos to get her slender figure for Dabang. She followed a healthy diet and exercise routine to lose the excess weight. Currently, she goes for gym regularly, does cardio and yoga to keep in shape. 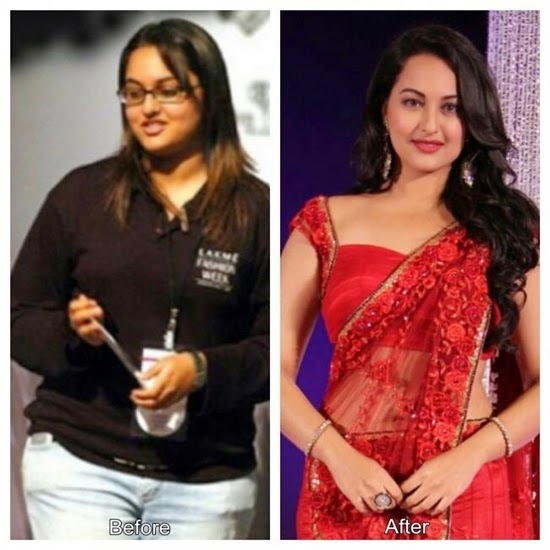 Sonakshi, before starting her career in Bollywood, she was about 90kg. 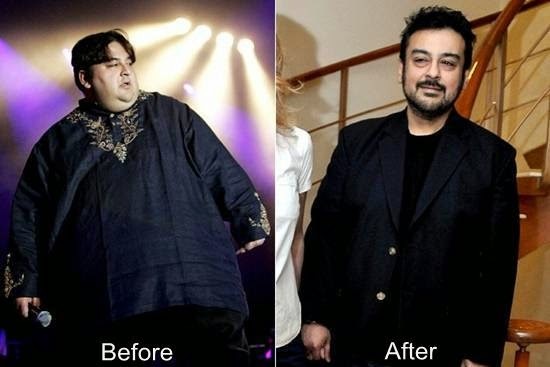 Adnan Sami is a famous Pakistani singer who later moved to India to join Bollywood. Adnan was a bulky and fat guy, he was 204kg. But in 2007, he lost weight drastically. He lost about 130 kg in only a year. Once he used to travel with a custom-made wheelchair just because of his weight. Kareena Kapoor started the size-zero trend in Indian Film Industry, but she had to go through the battle of the bulge. She was always criticized for her weight when she entered films. But she didn't lose heart, and focused on achieving an attractive shape. Thanks to her dedication, Kareena soon became sleek and smart. She was about 70 kilos before signing her first movie, Refugee. She reduced 20 kilos of weight in a few months. Ladies are not the only who faced weight loss problem, many gents also struggled a lot to come in shape. 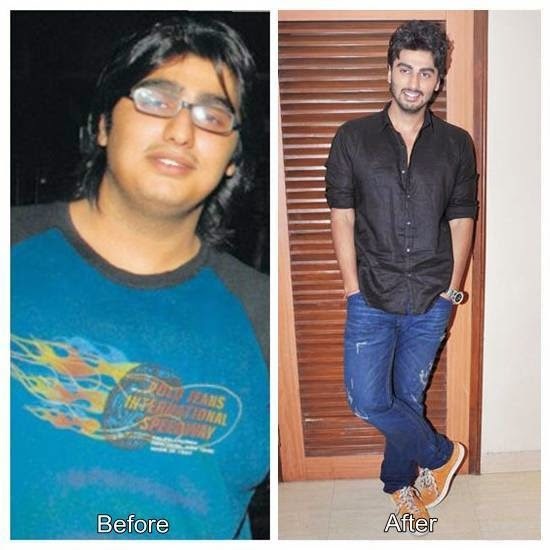 Arjun Kapoor weighed 130 kilos before joining showbiz. Before starting his career as an actor, Arjun was of 120 kg. In only two years, he lost about 50 kg to look hot in the movies. 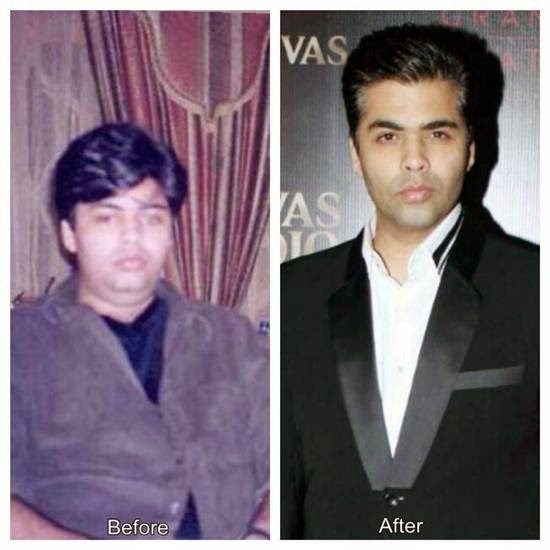 The leading filmmaker Karan Johar was 120 kilo heavy when he was young. Then he began working on his body and lost a substantial amount of flab.